What makes ARMEX the best baking soda abrasive? ARMEX is the original baking soda based abrasive. In 1985 it was Church & Dwight Co., Inc. makers of ARM & HAMMER products that while working with the engineers restoring the Statue of Liberty decided to try baking soda as an abrasive. 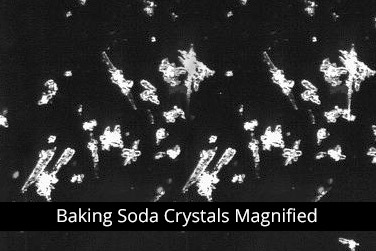 Following the success of soda blasting, Church & Dwight partnered with equipment maker Schmidt Manufacturing to optimize the process, both the equipment and the media, for commercial application. The chemists at Church & Dwight, first developed 3 and now 11 application specific soda blasting abrasives to meet industry requirements worldwide. It's granular - a particulate suitable for use in pressure pots, cabinet systems and as an injection media for pressure washer systems. It's near neutral pH of 8.2 - provides a superior worker and environmental profile, before, during, and after use. It's water soluble - 9 of the 11 ARMEX formulas available are nearly 100% water soluble. This feature alone eliminates particle ingression issues for anyone working on intricate surfaces where entrapment of other types of abrasives can void warranties or cause critical failures.